As NBCUniversal prepares to broadcast and stream 6,755 hours of Olympics coverage in August, company executives said they are "cautiously optimistic" that the Summer Games would go smoothly despite concerns over environmental, economic and safety issues in Rio de Janeiro. However, the network will address those concerns and questions surrounding the Brazilian host city as part of a one-hour Rio Olympics special to air live on Thursday, Aug. 4, a day before the opening ceremonies. Hosted by Bob Costas, who will serve as emcee for his 11th Olympics, the 8 p.m. show will spotlight the biggest issues facing Rio—including a police crisis, questions about infrastructure, the polluted Guanabara Bay and the Zika virus—and feature the most popular Olympic athletes including Michael Phelps, Katie Ledecky, Kerri Walsh Jennings and Usain Bolt. "[The special] will frame all those issues that precede the Rio Games. We are not unaware of them. 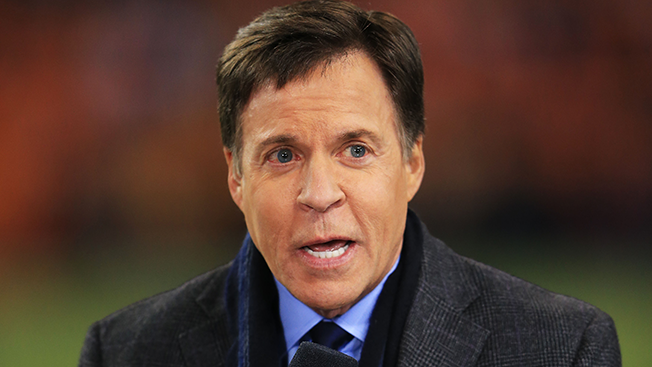 We'll set it up beforehand," said Costas at an NBC Rio Olympics press briefing today in New York. Despite all of those problems, "we are ready, and Rio is ready," said Mark Lazarus, chairman, NBC Sports Group. He noted that "every Olympic Games has always had issues," such as the terrorism concerns prior to the Sochi Winter Olympics in 2014 and the traffic concerts leading up to the 2012 Summer Olympics in London. That was echoed by Jim Bell, executive producer of the NBC Olympics, who said, "We are used to, at this stage, prior to the Olympics, for the focus to be on some of the other issues and stories away from the games and the athletes that will start to turn now as we get closer to the Games. And I think we feel cautiously optimistic that Rio is going to be a great success." Once the Games begin, "hopefully these other issues will not rear their head. If they do, we'll be there to cover them," said Lazarus. "We will be able to cover and hand off back and forth between sports and news. There's a process in place for that to happen." Of course, NBCUniversal has every reason to be bullish about the Olympics: It will be broadcast and streaming 6,755 hours of coverage over 17 days. "This will be the biggest media event in history," said Lazarus. Executives also said that while all Olympics sporting events will be broadcast or streamed live, the opening ceremonies will be broadcast and streamed on a one-hour delay when they air Friday, Aug. 5, on NBC. "Those will be curated and will air one hour after they occur," said Lazarus. "We think it's important to give context to the show. This opening ceremony will be a celebration of Brazilian culture, of the pageantry, of the excitement, of the flare that this beautiful nation has. And we think it's important that we're able to be that in context for the viewer so it's not just a flash of color." Summer Olympics competition actually begins two days prior to the opening ceremony, on Aug. 3, with women's soccer (which will air on NBCSN and USA Network). The closing ceremony will air on Sunday, Aug. 21.